For those who call ourselves marketers, the customer experience is now our battleground. Customer satisfaction is the #1 success metric for marketers today. 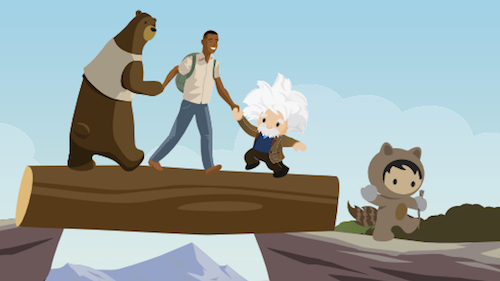 And 64% of consumers — and 80% of business buyers — expect companies to respond and interact with them in real time, according to Salesforce Research. Getting real-time feedback from your customers can play a huge part in your success as a marketer. You probably set up email campaigns, prepare ads, and write content for your audience, but do you really know what these people want, minute to minute? Using more customer feedback can help inform your future campaigns and craft better experiences for individual customers. 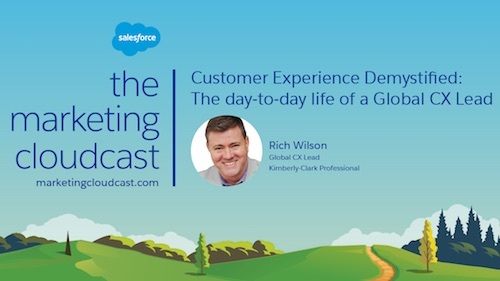 On this week's episode of the Marketing Cloudcast — the marketing podcast from Salesforce — we're talking to Kraig Swensrud, founder and CMO of GetFeedback. Kraig is the former CMO of Salesforce and now leads GetFeedback to help companies build mobile-ready surveys that reach customers anywhere. If you’re not yet a subscriber, check out the Marketing Cloudcast on iTunes, Google Play Music, or Stitcher. You should subscribe for the full episode, but here are a few takeaways from our conversation with Kraig. 1. Get feedback on areas outside of marketing. In recent years, customer service and post-sales departments have been leading the charge on customer experience by measuring things like customer satisfaction, Net Promoter Scores, and churn rates. The CMO's job title has grown substantially larger, and the CMO is now in charge of the entire customer experience, right from the business-getting to the business-keeping. We've all been hearing that marketing leaders should be driving the entire experience initiative. What does this mean? Kraig explains, "Whether it's a customer service department at Comcast who is hooking up somebody's cable television, or the experience you have when you step on an airplane or check into a hotel where the front office staff greets you — we all have these experiences with companies. The modern marketer should be thinking of all of those experiences because those are the experiences that define their brand, not just their latest jingle, or their latest television ad, or their latest SuperBowl commercial. They should be concerned with every one of those experiences that a customer has with their company." And how will you know what customers' experiences truly are in those outside-marketing areas if you don't ask? Asking directly for feedback is a great way to bridge that gap and get visibility on areas outside your immediate jurisdiction. 2. Bring surveys into real-time scenarios. When you think of customers surveys, maybe you think of those long quarterly surveys that eat up customers' time. Just looking at one of these surveys can feel overwhelming and cause customers to avoid taking them. Kraig suggests that we bring our idea of surveys into 2017, going with surveys that are quick to take, real-time, and easier to act upon while customers are still in the throes of a good or bad experience. Start with a couple questions, not 10. Kraig shared a recent story: "The last time I checked into a hotel last week in New York, I got a survey two seconds after I checked into the hotel and they asked me two questions about the check-in process. I'm much more likely to give that feedback at that moment when I'm passionate about it, in real time, when they respect my time." Had Kraig's check-in process been uncomfortable and not what he expected, the company would have been able to immediately remedy the situation and find a proper solution on the spot. Not so with surveys that come out days or even weeks after the initial experience. Kraig recalls a quote from Richard Branson where he hypothesizes, "Unhappy customers who have a problem handled quickly and effectively end up being more loyal than if they never had a problem at all." 3. Add survey data to actionable places. Customers nowadays are looking for a more personalized experience and have come to fully expect it. Kraig believes that collecting feedback from individuals is a great start, but you have to actually act on it to show customers you're listening. 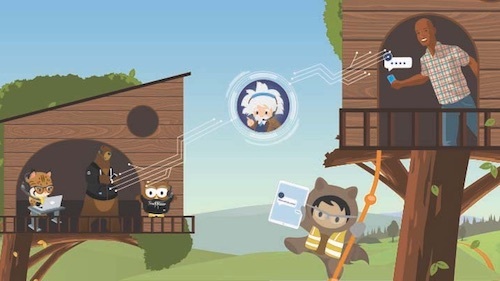 Fortunately, the data you collect from surveys can be tied directly into customer records (for example, records in Salesforce). So whether a customer has an exceedingly fantastic or disappointing experience, their feedback can be tracked for the long-term, so you have a full view into that customer's history with your company. Asking customers for their feedback does more than address one-off problems, though. It also helps you track customer relationships in aggregate over time, to see where their experiences are especially noteworthy. No matter what you do, stop paying CX lip service and get your hands dirty. Kraig believes it's essential for modern marketers to recognize what customers are experiencing every day with the company's products and services. For example, when was the last time you sat in on a customer service call, or helped address a customer's issues yourself? He says marketers who want to truly be successful must care not only about "the marketing channels, their website, their events, and their advertising — but across the entire business." As Kraig adds, "The total of those experiences is what defines a brand, and that is what VPs of marketing and CMOs should care about." It's time for marketers to get their hands dirty in customer experience, not just pay it lip service. Ready for more details on using surveys to improve customer experience? Join the thousands of smart marketers who already subscribe on iTunes, Google Play Music, and Stitcher. New to podcast subscriptions in iTunes? Search for “Marketing Cloudcast” in the iTunes Store and hit Subscribe, as shown below. Tweet @youngheike with marketing questions or topics you’d like to see covered next on the Marketing Cloudcast.